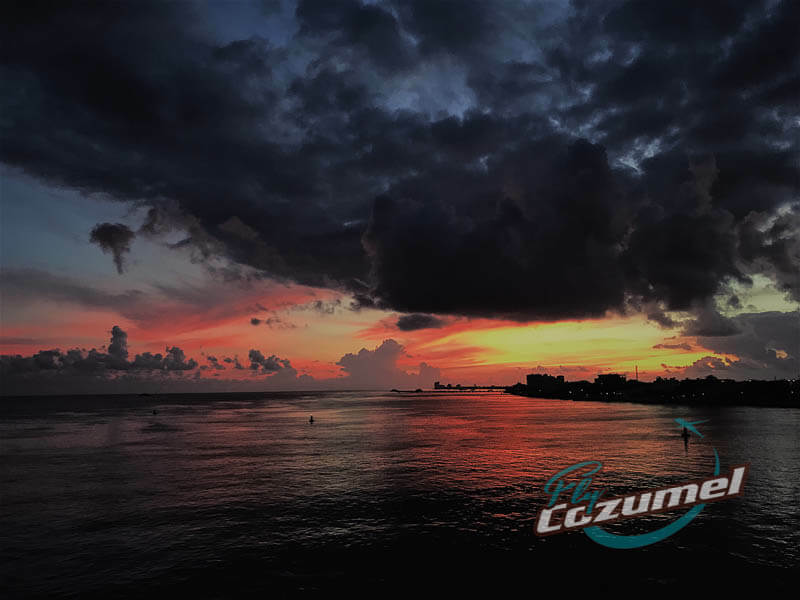 If you’re reading this, it’s probably because you are planning a Cozumel vacation and are wondering about our Cozumel weather. Will we be able to do the tour in July? In the end, all of these questions boil down to one thing: you’re coming to frolic in the sun. For our part, the weather is something we follow religiously as our Cozumel excursions to Chichen Itza or even the scenic island flight requires Mother Nature to be on our side. Luckily for us, and you, Cozumel has around 300 days of sunshine a year. That means, odds are in your favor that you’ll be able to absorb some of those rays just like you plan to do with that fresh, tropical cocktail on a Cozumel beach. That said, however, there are some things you should think about concerning Cozumel weather prior to packing that bikini or that speedo in preparation for a much-needed dose of tropical bliss. Here are a few weather-related tidbits to keep in mind when planning your vacation. #1 It gets hot in Cozumel. And humid. Cozumel weather has one constant: the heat. There are only a few months of the year where that is not the case. Moreover, with the heat normally comes the humidity. Drink sufficient water, also wear biodegradable sunscreen, and make sure you have the correct clothing to keep you properly covered when need be. Otherwise, stay close to the water and cool off in the Caribbean Sea or in your hotel’s stunning swimming pool. January? February? March, April, May? As you’ll see below, temperatures in Cozumel remain fairly constant with only a few degrees difference month over month. The coldest it gets is usually in January and February, where temperatures can reach a chilly 61 ºF. The hottest months are May through August, with average temperatures around 90 ºF. Add in humidity, however, and what Accuweather calls the Real Feel temperature is well over 100 ºF. You probably think January and the first thing that comes to mind is cold. While locals may take advantage of a drop in temperatures to show off that parka they have in the closest for those special occasions, Cozumel weather in January is almost perfect: not too cold, not too hot. Things starting heating up a little more in February, and that’s not just because it’s the month for lovers. It’s also shoulder season in terms of tourism, so you may even find that perfect Valentine’s Day gift. Spring is upon us, although you wouldn’t notice it in Cozumel. That’s because our weather pretty much stays the same: sunny, dry, and stunningly beautiful. Ever heard that saying about April showers bringing May flowers? Not around these parts. We’ll leave those showers for next month when the rainy season starts. The rains starts to pick up during the month of May, although it’s mostly just a morning or afternoon shower that only serves to elevate the heat. On the other hand, we can still go to the beach! It’s hot and mostly sunny, even if the average monthly rain is four times that of April. But it’s all good. Because, as Woody Guthrie once said, it comes with the dust and it goes with the wind. Also, it’s the official start of both hurricane season and whale shark season! Is it just me or is it getting hot in here? Yes, we’re really starting to feel the heat in July. However, it’s just another great excuse to take a dip in the Caribbean Sea. Ah, the price of living in paradise. By now us locals are wondering if the heat is ever going to end. But, on the other hand, there are lots of visitors here which translates into a nice boost for the local economy. Now things are starting to slow down and you can slowly feel the change in weather. It’s still hot, but it seems as if the rains are a bit more constant and the heat slowly — too slowly — starts to descend. If September had a twin sister it would definitely be October. The temperature continues to descend a bit and the rain falls even more than in September. However, good weather is just around the corner. November is usually a great month in terms of Cozumel weather. The rains begin to subside and it doesn’t feel nearly as hot and humid as in the summer months. Plus, it also coincides with Day of the Dead! ’Tis the season to go tropical. And go tropical people do. Beginning around mid-December, the hotels, resorts and AirBnB’s of Cozumel begin to fill up. People are getting in their holiday cheer, just at the beach. #3 Is it going to rain in Cozumel? I ask that question to Google a lot, especially during rainy season. When is rainy season you say? May through November are the rainiest months of the year in Cozumel. Sometimes it rains more, sometimes less. This year seems to have been different, with most of October seeing rain day in and day out. In a normal world, rain in Cozumel comes and goes pretty quickly. Usually, a rainstorm blows in from the Caribbean Sea crossing over to the mainland from west to east. Whenever there’s a bigger system brewing in the Caribbean or we get a cold front in from the north is when you can expect more sustained rain on the island. Otherwise, even if you look at your Google weather forecast for Cozumel and see those clouds and drops of rain, it doesn’t necessarily mean much. To see what’s in store, check out how much precipitation is expected. That’s how you’ll know if it’s really going to rain in Cozumel or if it’s just going to be a passing shower. Finally, weather forecasts here are only good a few days out. Don’t expect to look up the weather forecast in a month and learn anything about what kind of weather we have. What is there to do on a rainy day in Cozumel? Playing devil’s advocate, let’s say that it does rain in Cozumel. While most activities here are related to the Caribbean Sea, there are still some good rainy day activities to consider. You know, just in case it comes to that. ▪ Grab a book and/or a board game (hint: you can also purchase one at the grocery store) and head to one of the Cozumel beach clubs or restaurant and spend a few hours eating, drinking, and being merry. #4 When is hurricane season in Cozumel? Hurricane season in Cozumel mostly coincides with the rainy season. In other words, it’s possible for a hurricane to develop anytime from June through November. That said, however, hurricanes are a reality but they’re also few and far between. Moreover, as one of Mexico’s prime tourist destinations, local authorities have developed world-class contingency plans to deal with any eventuality. Luckily, unlike earthquakes or tornadoes which can appear out of nowhere and leave a path of destruction, the National Hurricane Center in Miami has gotten increasingly better at predicting both the path and the strength of tropical disturbances and their projected path. That means there is usually plenty of time to make good on those well thought out contingency plans. 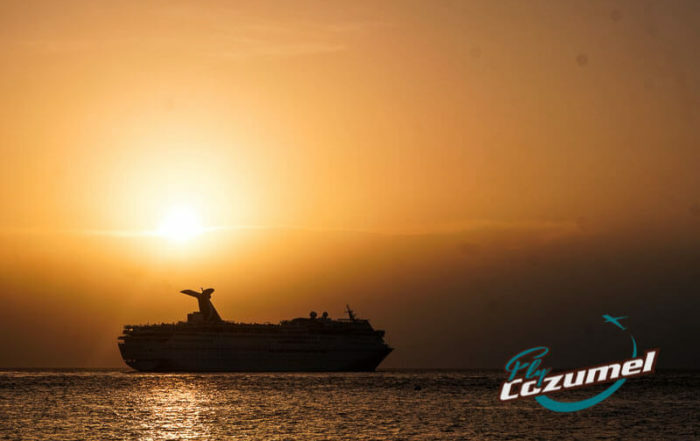 #5 When is the best time to visit Cozumel? If we take all of our weather-related facts into account and try to determine when is the best time to visit Cozumel, the response would be this: pretty much year-round. Even during the months with higher precipitation, that rarely translates into days and days of bad weather. Of course, it can and has happened. That said, however, the norm is that it will maybe rain for a little while at some point during the day before the sun makes its way back out to kiss those white sand beaches. 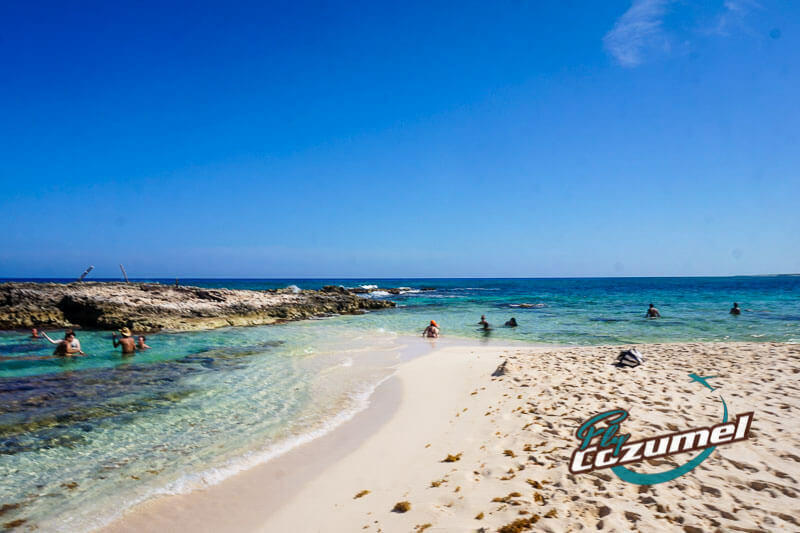 High season in Cozumel corresponds to the months of November through January, with a few weeks of high season in March and April due to Spring Break and Easter. 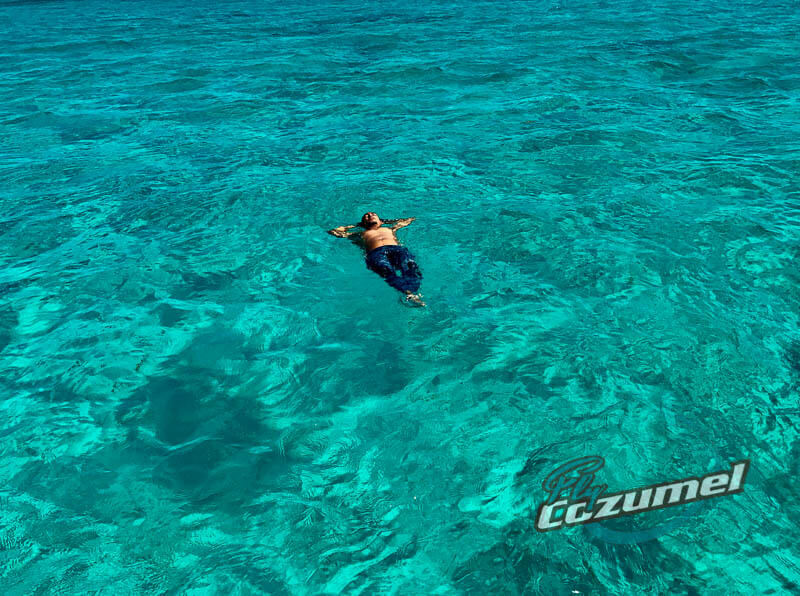 July and August are also great months for tourism in Cozumel. If you’re looking to come when there are fewer people or better deals, check out offers from around early to mid-February up until around the middle to end of March. May through mid-June is also a good time to get great deals on Cozumel travel. Because school is back in session and there tends to be more rain in September and October, these two months generally offer the best bang for the buck. Looking for more Cozumel travel tips? Have some questions for our talented Fly Cozumel crew? Let us know in the comment section or send us a message via our contact page!